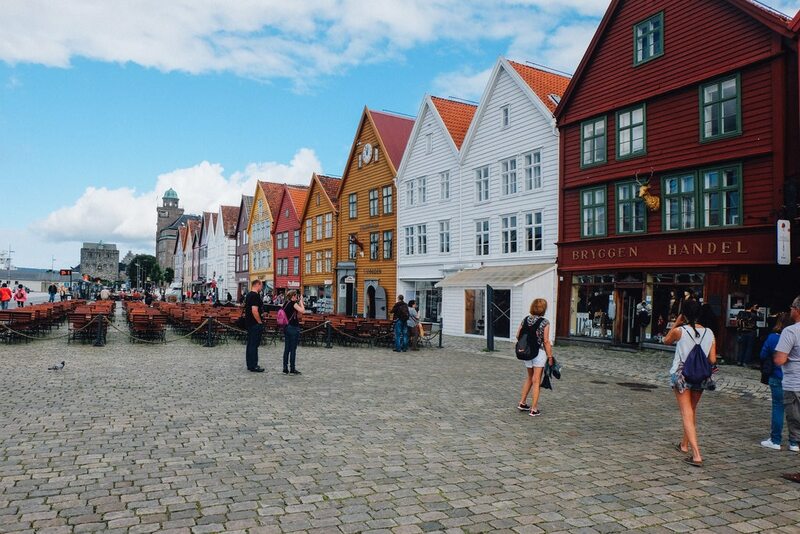 Sitting on Norway's west coast, the beautiful seaport of Bergen is known as the "gateway to the fjords." However, the stunning harbor city has plenty to offer in addition to a jumping off point for cruising. Ringed by several hills known as the "Seven Mountains," Bergen has forested escapes within minutes of downtown. Easy day trips offer even more breathtaking vistas full of tiny towns, steep green cliff sides and cascading waterfalls. But in addition to natural beauty, the colorful city also has a vibrant cultural life, a celebrated food scene and a long history worth exploring. Also make sure to check out the best deals on seeing the Northern Lights while in Norway! The colorful merchant houses of the Hanseatic Wharf are the city's most famous landmark. Named after the early German settlers who built the first homes here, the narrow alleyways behind the waterfront are laid out much as they were first designed in the 1300s. 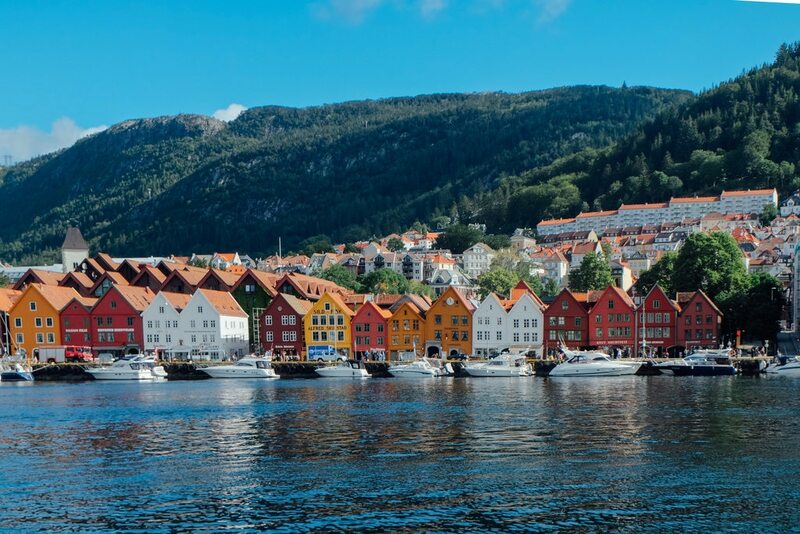 Today, the emblematic wooden buildings are filled with popular cafes, boutiques, and a museum dedicated to the city's long history, all just a stone's throw from your Bergen hotel. Fishing has been Bergen's fish market has been a gathering place since the city's founding. Located at the water's edge, merchants still arrive daily during summer months to offer seafood platters and fresh smoked salmon from small stalls. Come early to find the freshest catch of the day, or stop in at lunchtime for a casual meal at an outdoor table in the centre of the market. The hills that frame Bergen are best experienced up close rather than admired from afar. Luckily, many of the Seven Mountains are easily accessible from the heart of the city. The Fløibanen funicular leaves from near the fish market and brings you to the top of Mount Fløyen in mere minutes. Look out over the city towards the fjords, or keep moving at the mountain's playground and numerous walking trails. Looking for more adventure on a mountain top? Take the popular cable car up 643 meters to the peak of Mount Ulriken. There you will find Norway's fastest zipline, which stretches 300 meters down the rocky slope. After getting out in the fresh air, take advantage of Bergen's cultural side. Architecturally striking Grieg Hall is home to one of the oldest orchestras in the world, and hosts concerts dedicated to the composer Edvard Grieg (who was born in Bergen). During the warmer months, the city also has a full lineup of music festivals, including a jazz festival known as Nattjazz in May and the Bergenfest blues concerts in June. Bergen is set on a unique coastline filled with thousands of small islands and inlets known as fjords. These waterways were created by glaciers millennia ago, which carved deep cliff sides into the rocky mountains as they slowed pushed forward. 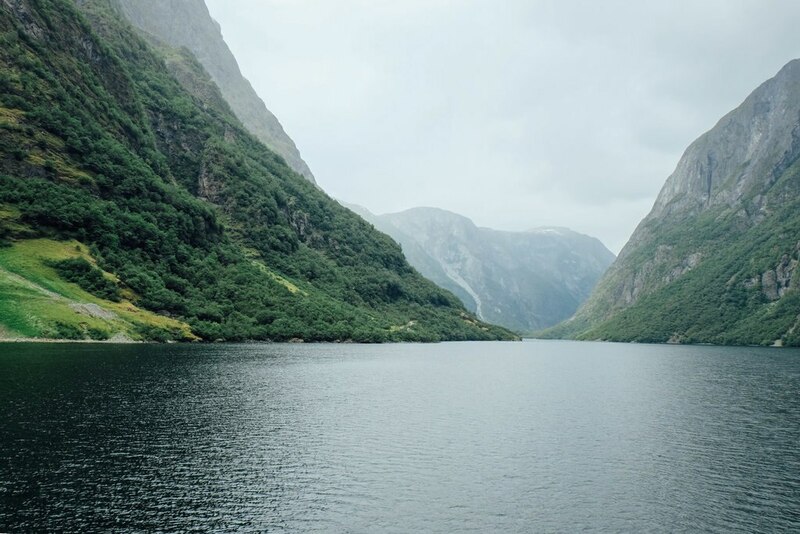 The results of this ancient process are the spectacular landscapes that Norway is famous for - and which can easily be visited in a day from Bergen. 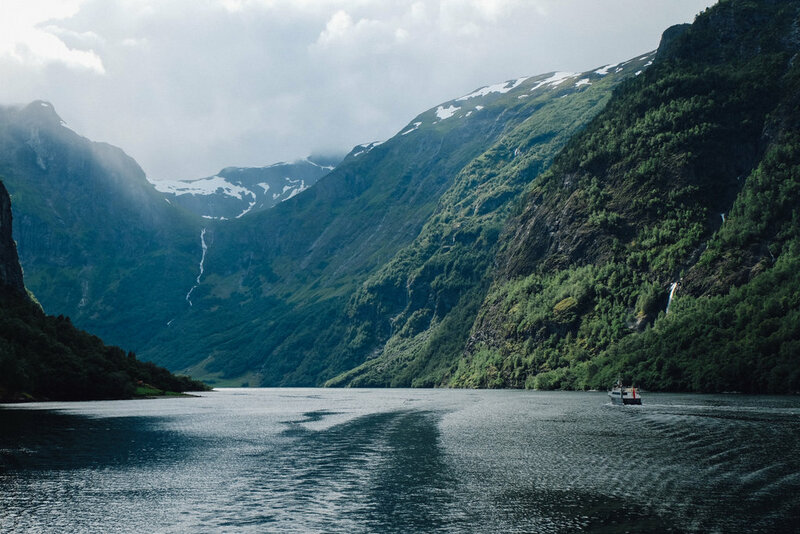 Hop on a short train journey to reach the larger fjords, or stay local with a boat tour in the city's harbor. Once you have worked up an appetite visiting Bergen's best sites, settle in for a world class meal at Lysverket (Rasmus Meyers allé 9). The ultramodern restaurant is set inside a 1930s art museum and offers innovative seafood tasting menus. The avant-garde dishes are made with all local ingredients, paying homage to the city's humble fishing beginnings with a new gourmet spin. Have you been to Bergen? What would you add to the list?